Falling Edge are an innovative Canadian band, formed in 2004, and FE3 is a fantastic album full of varied and mixed genres of music. Where Should We Go from Here? and its reprise bookend the album, all cool keys and huge guitar solos. Magnificent. Experience/Innocence features beautiful acoustic guitar, sounding like some of the best songs off Tea Party’s Splendor Solis, then wonderful Tony Banks-like keyboards remind of early Phil Collins-era Genesis. Definitely a great mix on the best song on the album. Seventeen opens with bold strokes of lead electric guitar, deep supporting bass and drums, keyboards entering to provide the necessary high notes over five minutes of instrumental bliss, before I Will Not Comply opens powerfully with electric guitar ripping open the soundscape, magnificent keyboards spiralling skyward. An opening instrumental masterpiece, complete with deep bass and heavy drums, then darker vocals with angry Fish–like qualities. From here on in this could be an early Marillion song, excellent with qualities that reminded me of Script for a Jester’s Tear, wonderful to hear after all these years. Gone opens with happy and cool keyboards, before transitioning over to heavy guitars and drums, with supporting bass. It is an over 11-minute musical cavalcade full of gripping keyboards, those you hear around the 3-minute mark will remind you of ELP. Lead singer Chris Rupert enters with a Fish/Gabriel vocal sound, which will take you back to early Genesis. We are only half way in and I hear Procol Harum and Genesis all over this track. What Will You Do When You Find Me? starts as a beautiful acoustic guitar manifesto. Just sit back with your espresso, close your eyes and enjoy. Then the power hammers of guitars, bass strings and a whirlwind of excellent keyboard sounds fill the room, like Rush meets ELP. Masterful. Moments of Truth has deep and magical Calliope-like keyboards that I never want to end, perfect for dreaming or relaxing, then the keys stop and acoustic guitar and drums take over. A mostly vocal composition from Rupert moves on from here. It reminds me more of that early Collins-era of Genesis I used to listen to regularly. The bass is particularly good on this track before playful piano and keys return. 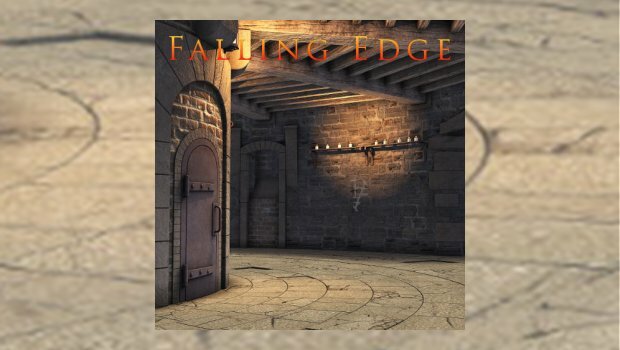 Another great album surprise from Falling Edge, check it out below. A great mix of music that will bring back memories and at the same time create new ones.